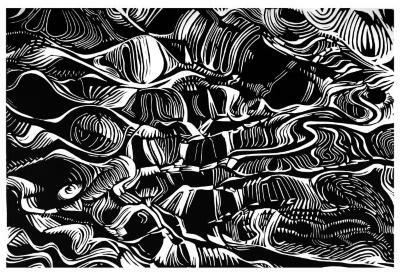 Florence Neal, Escape, Linocut, 11 in X 8 in, 2009. 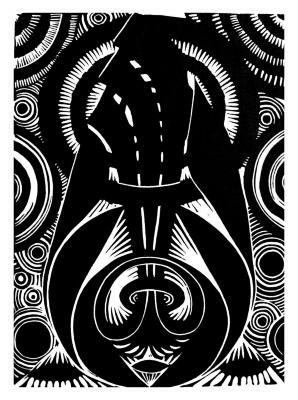 Florence Neal, El Fuego, Linocut, 11 in X 8 in, 2009. 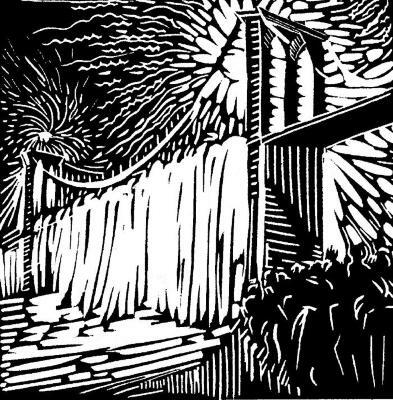 Florence Neal, The Fireworks Series: Brooklyn Bridge 100 Years , Linoleum cut, 7 in X 7 in, 1984. 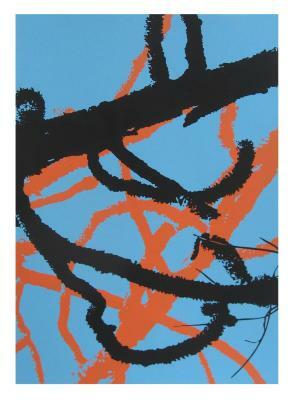 Florence Neal, The Fireworks Series: Chinese New Year , Linoleum block print, 7 in X 7 in, 1983. 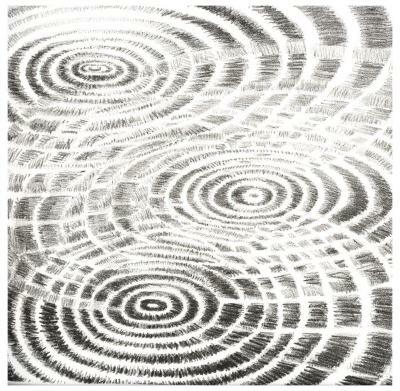 Florence Neal, Riddled Ripples, Linoleum cut, 14 in X 21 in, 2006. 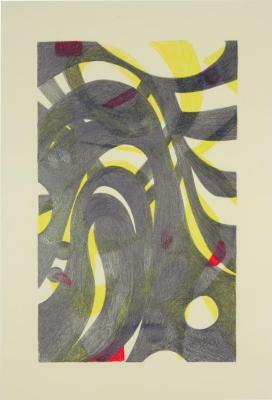 Florence Neal, Topkapi Riff #23, Linoleum cut, 13 in X 13 in, 2010. 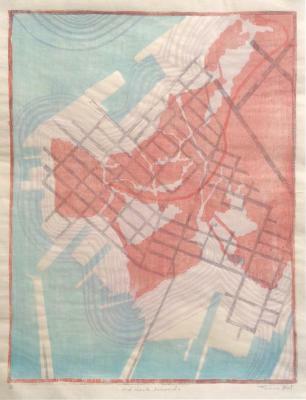 Florence Neal, Topkapi Riff #32, Linoleum cut, 13 in X 13 in, 2010. 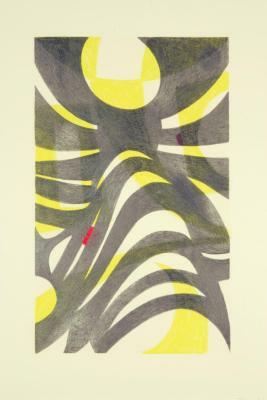 Florence Neal, Topkapi Riff #97, Linoleum cut, 13 in X 13 in, 2010. 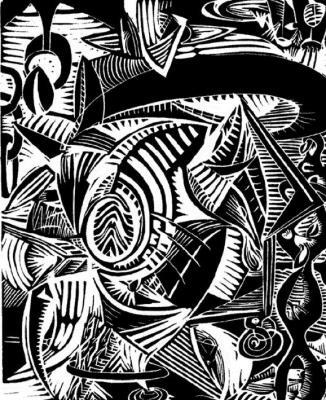 Florence Neal, Entropy, Linocut, 14 in X 12 in, 1991. Florence Neal, ReSounding Silence, Linoleum cut, 14 in X 12 in, 1993. 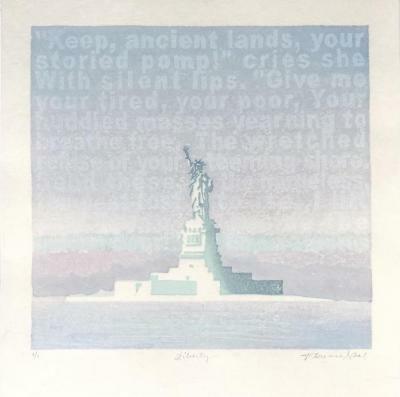 Florence Neal, Desert Fertilizer, linocut, 12.5 in X 12.5 in, 1991. 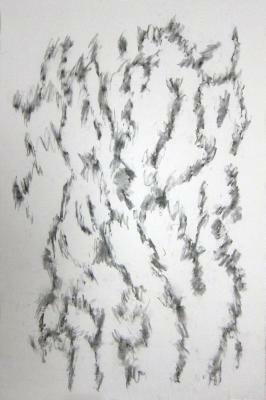 Florence Neal, The Trees: Sacatar, Itaparica, Brazil, Found charcoal rubbing on paper, 35 in X 23 in, 2012. 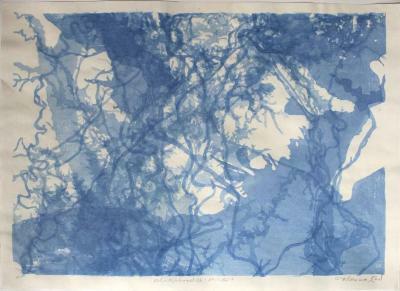 Florence Neal, The Trees: Evergreen, Vermont, Found charcoal rubbing on paper, 35 in X 23 in, 2013. 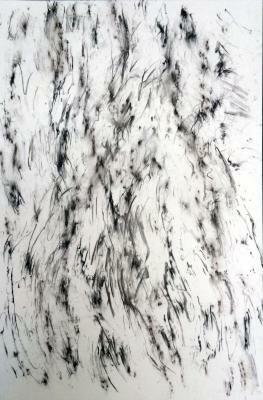 Florence Neal, The Trees: Pecan, Columbus, GA, Found charcoal rubbing on paper, 35 in X 23 in, 2014. 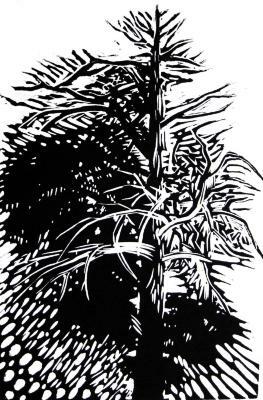 Florence Neal, Stinking Cedar, Linoleum cut, 9 in X 6 in, 2011. 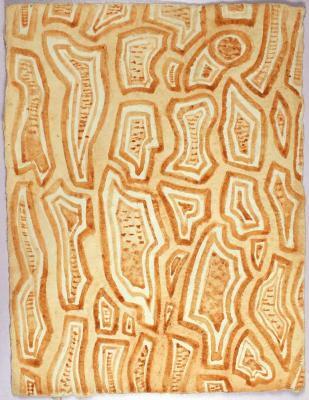 Florence Neal, Pine Tree Bark 1, Georgia clay on handmade paper, 12.5 in X 9.5 in, August 2007. 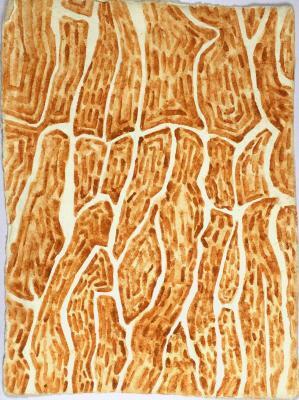 Florence Neal, Pine Tree Bark 8, Georgia clay drawings on handmade paper, 12.5 in X 9.5 in, September 7, 2007. 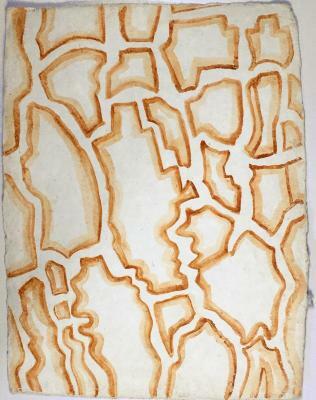 Florence Neal, Pine Tree Bark 7, Georgia clay on handmade paper, 12.5 in X 9.5 in, August 2007. 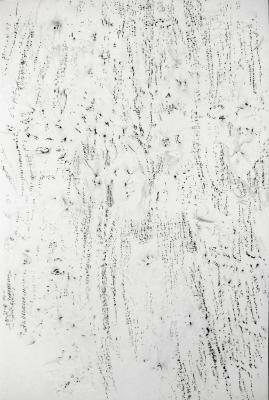 Florence Neal, Uprising, Graphite/Pencil, 26.25 in X 18.75 in, 2003. 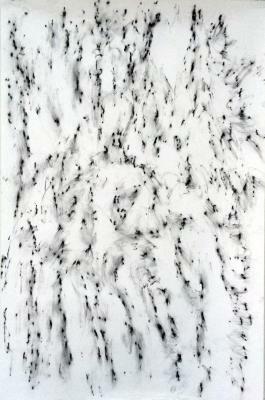 Florence Neal, Jungle, Graphite and pastel on paper, 26.25 in X 18.75 in, 2003.